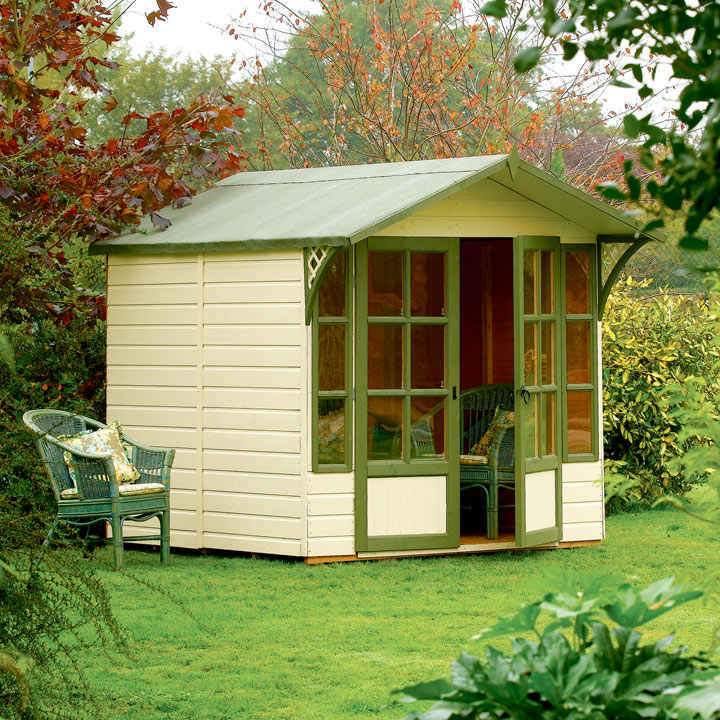 With an overhanging roof and attractive roof bracket detailing, the Eaton offers shelter from the elements whatever the weather. 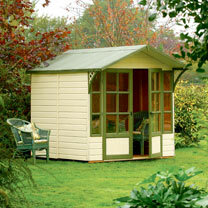 This traditionally designed summerhouse is a welcome addition to any garden scene. Height 2220mm. Width 2130mm. Depth 2640mm. (The Eaton in the image has been painted after assembly. The product is shipped in a natural timber finish). Roof overhang for shelter and shade. 12mm tongue and groove floor and roof. Double doors. 12mm shiplap cladding. Dipped honey-brown finish. Toughened glass. Mineral roofing felt.